Meet us at Nature et Vins wine fair (organic and high environmental value winemakers) at Parc Floral in Bois de Vincennes, from 24th to 26th May 2019. Meet us at Mandelieu VIF Wine Fair. It will take place at Centre Expo-Congrès from 5th to 7th of April 2019. 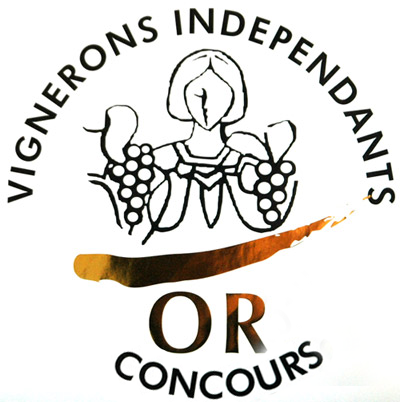 Article in french magazine "Le Point"
We are proud to announce that we have been awarded by a Gold medal at the wine competition of the Vignerons Indépendants de France. Cuvée Maréchal Prieur 2014 reached 22nd place in this prestigious blind tasting, organized by the Revue du Vin de France. "One of the most well-known terroirs in Sancerre vineyard, producing an admirably fine wine at first smell, opening on notes of white fruits, exotic fruits and white flowers. The mouth reveals a dense and full-bodied wine, sustained by a well-balanced vivacity with hints of minerality bringing rectitude, sharpness and making the final impression longer. A young and racy Sancerre caracterized by its terroir, that will be able to wait few years in the cellar. Since July 28th 2014, Pierre Prieur & sons estate has been given the Environmental Certification for Farming, level 3, which allows the mention "Coming from a high environmental value farm". This certification conducted by an external audit is the proof that our estate uses well-reasoned agricultural practices. The necessary standards to fulfill such a certification are : respect of biodiversity, good phytosanitary strategy and good gestion of fertilization on the whole estate.